If your ability to walk reasonable distances is limited or deteriorating, you may be considering getting a mobility scooter. Use of mobility scooters has been shown to improve a person’s abilities, social participation and life satisfaction (Samuelsson and Wressle, 2014). Before obtaining one, it is important to consider a number of factors about yourself and about scooters, so that you and/or your carers can make informed decisions and choices. The aim of this factsheet is to provide basic information for you to consider before obtaining a mobility scooter, including your needs and your current circumstances; the various categories of scooter; the practical requirements when owning a scooter; legal requirements, safety factors and insurance and a number of accessories that might be useful to you. Whilst it is recognised that having a mobility scooter can enable you to get out and participate in activities that may otherwise be inaccessible to you, you are encouraged to try and walk at least short distances, if this is possible for you. The health benefits of physical activity are well documented (Taylor, 2014) and can help to maintain the mobility and physical ability that you currently have. The NHS and social services do not provide outdoor electric scooters or buggies. It is possible to buy scooters through retailers or rent them under a number of schemes. Some schemes and suppliers will offer an assessment of your needs. Be certain of your preferences and requirements before you look at any scooters, so that you are not encouraged or tempted to buy something which will not actually meet your needs. The Motability Scheme provides a way for people with disabilities to lease a car, scooter or powered wheelchair in exchange for their mobility allowance. To be eligible to join the Motability Scheme, you need to receive one of the following mobility allowances and you must have at least 12 months’ award length remaining. Please note that the Attendance Allowance cannot be used to lease a vehicle through the Scheme. Access to Work provides grants for practical assistance if you have a disability, health or mental health condition, in order to help you gain employment, stay in employment, or even become self-employed. Access to Work may provide funding for a mobility scooter if it is required for the purposes of your work and there is no more cost-effective alternative. You will need to contact your local Jobcentre Plus. There are a number of trusts and charities that will consider funding scooters. More information is under the Useful Organisations section at the end of this factsheet. 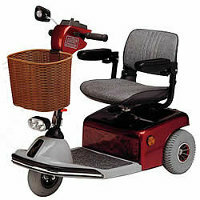 There is a large market in second hand mobility equipment, including schemes run by commercial suppliers. There is some advantage to using a recognised company as most offer scooters which have been serviced or reconditioned and have a short warranty or service agreement. If you are buying a second hand scooter from a private individual, ensure you are given the accompanying literature, an instruction manual and any service history. Each mobility scooter has a unique vehicle number. You can check the number with the manufacturer to confirm that the information you have been given by the seller is correct and to check whether spare parts are still available. Scooters come with a number of options in terms of size, power, speed, weight, seat support and so on. It is important to recognise what your needs are, in order to get the right scooter to help you in your circumstances. 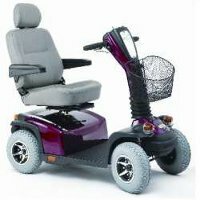 Your body weight – if you are a large person you will need to look for a scooter that is appropriate and safe for you. Measure and record your weight accurately and check the manufacturer's details. Consider how all these factors will be affected by, and will affect, your use of the scooter. There is currently no minimum 'fitness to drive' standard for mobility scooter users. If you have a condition which is deteriorating, you may wish to take account of your possible future needs at this earlier stage. A scooter is a significant investment. You will want to be able to use it safely and for long enough to make it worthwhile. You also need to take into account the needs of any person who will be helping you to carry out basic maintenance tasks, for example charging the batteries. Their level of ability and safety need to be considered. Dementia can affect a person in many ways, including memory, concentration, judgement, vision, planning or problem-solving. It is a progressive disorder and those affected may not have insight into their illness. They may not be able to make a realistic judgement about their ability to use a scooter safely. Many people in the early stages of dementia can still travel independently on mobility scooters if they are already familiar with using one. They should use familiar routes and carry relevant identity documents with them when alone, should they get lost. A GPS tracking system can be considered (see Choosing equipment to help with memory and safety for more information). Introducing a scooter as a new item to someone who already has dementia should not be considered. becoming less aware of safety precautions. The guidance on when to give up driving a car can be useful and applied to the use of a scooter. If a person has early dementia, when sufficient skills are retained and progression is slow, driving may still be allowed, but subject to review. When a person displays poor short term memory, disorientation, lack of insight and judgement, they are likely to be considered unfit to drive (Driver & Vehicle Licensing Agency, 2016). Although there are no legal eyesight requirements, it is important that you can see well enough to be able to judge distances, recognise obstacles and hazards, and be able to see pedestrians and other road users. If poor eyesight were taken as a contributory factor in an incident, it could make you liable for a compensation claim. Vision can change with age and it is recommended that you have regular sight tests. You should have a minimum visual acuity of 6/24. If you are eligible to be registered as severely sight impaired (blind), you should not drive a mobility vehicle as this would put yourself and others at risk. If you are eligible to be registered as sight impaired (partially sighted), you should speak to your optometrist or doctor. In order to use a mobility scooter, you will need to be able to walk to where the scooter is stored and transfer into it, then transfer out of it and possibly walk a short distance at your destination, for example the corner shop or local library. You may need to check your destination in advance to see whether they allow scooter access or have suitable and secure storage for it. Some scooters have a swivel seat which can make transfers much easier. Others have fold-up armrests which can be raised to provide easier access. On some, the tiller (or steering column) can tilt forward to provide more space into/from which you can transfer. You need to ensure that you can use these features, then re-position them and yourself ready to drive, once seated in the scooter. When using a scooter, you need to be able to maintain a comfortable, stable, safe and supported seated position. The seat and backrest should be padded and contoured to provide comfort and help you to maintain your position. Some models offer a variable height seat and an adjustable backrest. The seat/backrest width should give you enough room for winter-weight clothing, but not be so big that it causes you to lean sideways to find support. This is particularly important if you have poor upper body strength and control. Do you want to use the scooter indoors, outdoors or both? How far might you want to travel? What is your local area like? Are there wide pavements? Will you have to go up and down kerbs? Might you need to travel on the road? The answers to these questions will guide you in choosing what type of scooter is best for you. Your personal health requirements will guide you in the features you need to look for. Class 3 vehicles are not allowed on motorways, bicycle tracks or bus/cycle lanes, but are legally allowed on dual carriageways. Boot scooters, which would be classified as Class 2, are specifically designed to be compact and easier to fold or dismantle. They can be transported in the boot of a car. Boot scooters differ in weight. You will need to ensure that you, or your carers, can disassemble or fold the scooter, then lift the scooter in and out of the boot and finally reassemble/unfold it at your destination. You will need to know the size of your car boot to ensure that your scooter will fit. The Rica website offers a car search facility which will help you to find out the size of your car boot. However, it notes that the law does not explicitly state that a parent or guardian carrying a child in a pouch or a sling on their person, as an adult who was not disabled would do, is unlawful. It is a personal decision whether this is considered safe practice. A range of commercial organisations, manufacturers and police forces have produced user friendly versions of the Highway Code for scooter users. Some suppliers will provide a copy with your scooter. 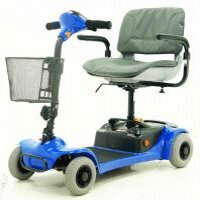 Powered mobility vehicles have many benefits for users, but also create the risk of accidents resulting in injuries (Edwards and McCluskey, 2010). It has been demonstrated that training to improve driving skills and awareness when using scooters is beneficial in reducing the likelihood of accidents (Toosizadeh et al, 2014). Operating and controlling the scooter. The law and mobility scooters. The Highway Code for scooters. Your mobility scooter will need to be stored in a secure, dry place, with access to a power source for battery charging. You need to ensure that it is not a trip hazard or a fire hazard (by blocking escape routes) for yourself or anyone else whilst it is stored. 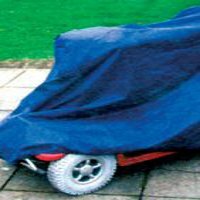 If you need to store your scooter outside, you are advised to get a waterproof cover for it. If you live in a communal property, such as council or housing association flats, sheltered housing or a care home, you must seek advice and permission from the landlord/organization in relation to storing and charging your mobility scooter. There are usually strict rules preventing the storage and charging of mobility scooters in communal areas. They are not usually allowed to be stored in corridors or stair wells to prevent them from being an obstruction or trip hazard. You may have space for a smaller scooter in your personal flat/room, or there may be an allocated room/ space for storage. In any situation check that it is not a hazard to yourself or any other person. If you lived in rented communal accommodation, it is likely that you will be required to have an annual PAT (portable appliance test) for your scooter to ensure that the charging equipment is in a fit state to be used. Establish a regular charging routine. How often you need to charge the batteries will depend on how frequently you use the scooter, and how far you travel in it when you do use it. It will also depend upon the terrain you drive over, the weight your scooter is carrying, the age of the batteries and so on. If you use it daily, then overnight charging will be required. If you use the scooter less often, weekly charging may be sufficient. Charge the battery regularly, even if you do not use the scooter for an extended period of time. 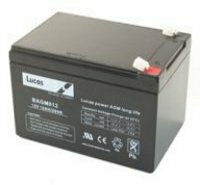 Avoid letting the batteries run completely flat and always fully charge them. Always use the proper charging cable. Keep it clean. Wash or wipe off any significant amounts of mud or dirt. Try to avoid driving over really wet, dirty or gritty areas. It is possible to damage the scooter’s motor if dirt or wet gets into the motor’s moving parts. Check the tyres. If your mobility scooter has pneumatic tyres, ensure these are kept at optimal pressure (check manufacturer's advice). Check the tyres for wear and tear. At some point they may need replacing. A regular service will ensure that your mobility scooter is safe, both for you and for those around you, especially if you use your scooter on the road. It will also keep it in good working order for longer. It is advised that you get your mobility scooter serviced every 12 months as a minimum. Check the manufacturer’s instructions. Your supplier will also be able to advise you on this. A range of water-resistant covers are available. They vary in size according to scooter design. Check the size of your mobility scooter before buying a cover. Some are more bulky and heavy. Be sure you or your carer/s can manage the cover before you buy it. Smaller covers are available for the seat or the controls. Scooter capes sit over you as the driver, and extend over the whole scooter, with clear panels through which the controls can be seen. They are generally made from nylon. 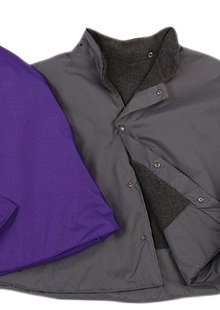 Leg capes are waterproof leg coverings, often with thermal or fleece lining for extra warmth. They tie or clip around the driver or to the seat. 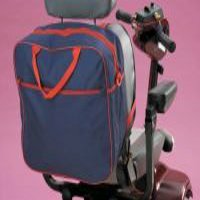 A range of bags and baskets are available which fix to the side or back of the scooter seat. Some can fit to the front of the tiller (steering column). Some have high visibility panels or sections for carrying items like crutches. Material or metal systems for carrying crutches or walking sticks. May fit to rear or side of scooter. 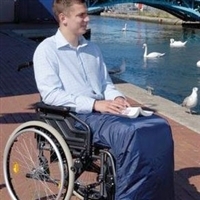 It is possible to use additional cushions in a mobility scooter, to provide better comfort and pressure care. Ensure the additional cushion fits within the dimensions of the scooter seat without distorting. The additional height of the cushion might cause the armrests to become too low to provide support, although some armrests are height adjustable. Driving Mobility (formally the Forum of Mobility Centres) is a network of independent organisations covering the United Kingdom, offering information, advice and assessment to people who need to gain or retain independence through mobility. Mobility Trust provides powered wheelchairs and scooters for people who have severe disabilities. As a charity Motability provides charitable grants in certain situations. The Motability Scheme enables disabled people to get mobile by exchanging their mobility allowance to lease a car, scooter or powered wheelchair. You can contact the DLF’s Helpline which is open Tuesday to Thursday from 10am to 4.30pm. Tel: 0300 999 0004 (calls charged at your standard landline rate even if you are phoning from a mobile). Department for Transport (2015) Mobility scooters and powered wheelchairs on the road – some guidance for users. London: DfT. Department for Transport (2011) Results of consultation on proposed changes to the laws governing powered mobility scooters and powered wheelchairs (DfT 2010-10). Section 14. London: DfT. Department for Transport, Confederation of Passenger Transport UK (2015) CPT Code for the use and acceptance of mobility scooters on low floor buses. London: CPT. Driver & Vehicle Licensing Agency (2016) Assessing fitness to drive – a guide for medical professionals. Swansea: DVLA. 76. Edwards, K. and McCluskey, A. (2010) A survey of adult power wheelchair and scooter users. Disability & Rehabilitation. Assistive Technology. 5 (6). 411-419. Great Britain. Parliament (1988) Road Traffic Act 1988. London: HMSO. Great Britain. Parliament (1970) Chronically Sick and Disabled Persons Act 1970. London: HMSO. Samuelsson, K. and Wressle, E (2014) Powered wheelchairs and scooters for outdoor mobility: a pilot study on costs and benefits. Disability & Rehabilitation: Assistive Technology. 9(4). 330-334. Toosizadeh, N., Bunting, M., Howe, C., Mohler, J., Sprinkle, J. and Najafi, B (2014) Motorized mobility scooters: the use of training/intervention and technology for improving driving skills in aging adults - a mini-review. Gerontology. 60 (4). 357-65.